Elegant Ambiance, Extravagant Amenites, and Unique Experiences. This carefully vetted collection of luxury, boutique properties and tours will provide you with a one-of-a-kind Costa Rica experience. An exclusive ambiance paired with all-encompassing service add up to a perfect luxury honeymoon or romantic vacation! First head to the Gold Coast where you will see the sun sink below the horizon in a dramatic show. At Villa Buena Onda you will enjoy an unobstructed ocean view as well as exceptional personal service, in a quiet setting. 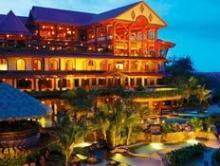 With only seven rooms, every one of your needs will be met by the attentive staff. In fact, there are often more staff on-duty than there are guests! In addition, guests will have members-only access to the exclusive facilities at The Club at Coco Bay and the Beach Club at Playa Ocotal. Make use of the gym, pool, and tennis courts, as well as have access to snorkeling gear and yoga lessons. Enjoy all that the area offers from adventure to relaxation. Next, your stay at the notorious The Springs Resort and Spa where you will have luxe amenities such as your own private balcony with a breathtaking view, an indulgent spa, and more. Try the exquisite cuisine served at the many restaurants on-site including the elegant Las Ventanas, Heliconia Bar, the more casual Tres Cascadas, Treetops Grill, and the Ginger Sushi Bar. 5 nights lodging at Villa Buena Onda—including 1 night FREE! Land in Liberia, where one of our representatives will meet you and show you to a private transfer. 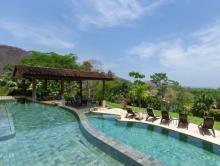 Your luxury Costa Rica vacation begins as you are taken to the boutique hotel Villa Buena Onda. Start off your vacation by exploring the gems of the area on a Private Hidden Beach tour. 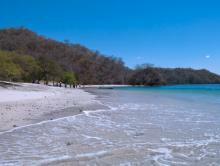 Spend the day navigating the clear waters and secret coves of the Papagayo Bay. As you enjoy the sun and sand, your private chef will prepare your lunch. Take the complimentary transportation from the Villa down to The Club at Coco Bay—free during your stay at Villa Buena Onda—and enjoy members-only access to the tropical pool, tennis courts, yoga pavilion, and full-service restaurant. Further down the road and steps from the tranquil, black sand beach of Ocotal, you’ll find the Beach Club. Here you can relax in the infinity pool or lounge in the beach chairs provided, and even use the snorkeling gear to explore the water! Villa Buena Onda will pack your lunch for you if you want to spend all day at these exclusive facilities. Head out for a little adventure on an ATV tour! Choose between the beach route or the mountain route and enjoy the scenery as you go zooming by. Enjoy your last day in the area to relax and explore further. Set up a tour for the many activities offered in the area. Or, if you prefer, lounge at the Villa and order cocktails by the pool. Today your travel from sunny Guanacaste to the picturesque Arenal volcano area. Have a fun and relaxing day as you go on a nature walk through the trees and then relax in the hot springs on this combo tour. Your guide will point out wildlife and the exotic vegetation as you appreciate the natural surroundings. The three kilometers of trails will take you over 16 hanging bridges and bring you up close to the rainforest. After a couple hours of walking you’ll be ready for a rejuvenating soak in the thermal hot springs. 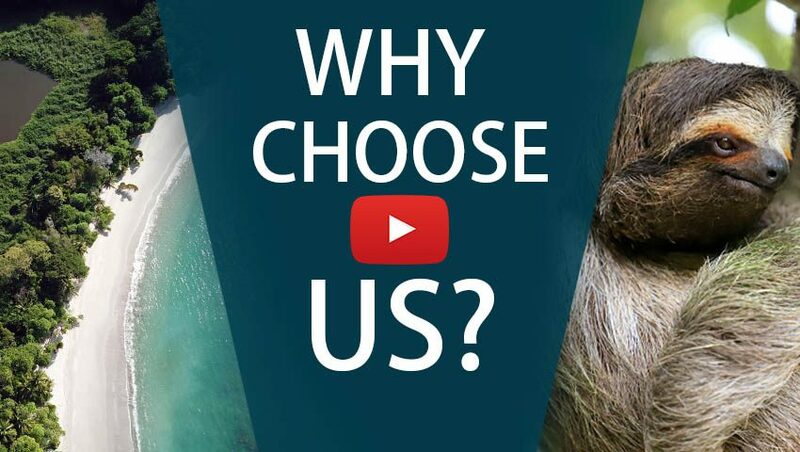 Choose the pool with the temperature that suits you best and feel the tension leave your body. Enjoy your stay at The Springs. The Springs has been voted as the #1 Relaxation/Spa hotel in Central and South America, and one of the seven resorts with the Most Spectacular Views in the World, according to CNN. Relax on your private balcony surrounded by tropical gardens as you look up at the majestic Arenal Volcano. Don’t forget to try out its on-site restaurants! A private transfer will take you back to the Liberia International Airport where you will catch your flight home. 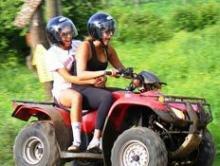 Discover Guanacaste’s most beautiful locations while riding an ATV.